TEHRAN, Iran Tehran's main bazaar has been closed as authorities tighten controls trying to halt the fall of Iran's currency after it hit a record low. The semiofficial Mehr news agency says the bazaar  the traditional commercial hub in Iran's capital  was closed for security reasons on Wednesday. Iranian officials have faced increasing public anger over the plummeting rial and rising prices, blamed partly on Western sanctions over Tehran's nuclear program. The pan-Arab network Al Arabiya reported fresh clashes in Tehran Wednesday between protesters angry over the currency collapse and police. French news agency AFP said the protesters were quickly rounded up by security forces. 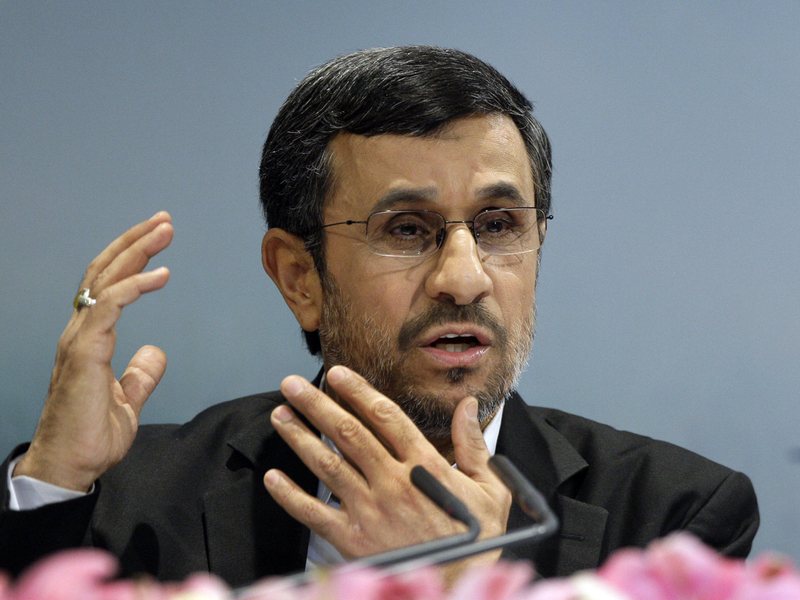 Speaking in Tehran on Tuesday, President Mahmoud Ahmadinejad was characteristically dismissive of the effect the sanctions are having on his economy, telling reporters: "everybody knows that foreign trade doesn't have a big share in Iran's economy, it's only being used as a tool for a psychological war." He acknowledged, however, that the sanctions had, "managed to reduce our oil sales just a bit." The Mehr report quoted Ahmad Karimi Isfahani, a bazaar official, as denying reports that merchants staged a protest. Police are patrolling streets where freelance money dealers work. Exchange shops are closed. The rial hit 34,500 against the U.S. dollar Tuesday on the unofficial street trading rate. Two years ago, it was close to 10,000 rials for the dollar.